the ductus leading from the gallbladder; it joins the common hepatic duct to form the common bile duct. 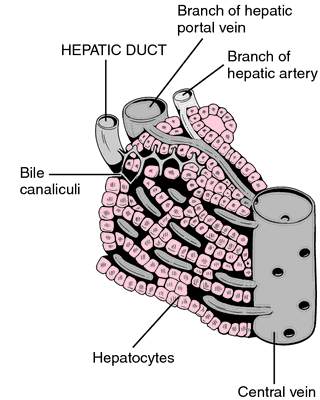 The duct that conveys bile from the gallbladder and joins the hepatic duct to form the common bile duct. the duct through which bile from the gallbladder passes into the common bile duct. The ductus leading from the gallbladder; it joins the hepatic duct to form the common bile duct. True absence of cystic duct is very rare and if the duct is not seen is more likely to be hidden. However, non-visualization of the gallbladder is commonly attributed to an obstructed cystic duct, anatomic variations, or technical errors (as in our case), and agenesis of the gallbladder is considered the least likely explanation. Anatomical variations of cystic ducts in magnetic resonance cholangiopancreatography and clinical implications. Acute cholecystitis usually occurs by impaction of gallstone in Hartmann's pouch obstructing the cystic duct. propose the following diagnostic imaging criteria: fluid collection between the gallbladder and the liver bed that indicate 'floating' gallbladder; horizontal alignment of the long axis of the gallbladder that indicates freely suspended gallbladder; well-enhanced cystic duct situated on the right of the gallbladder; and thickening of the gallbladder wall that suggests inflammation or ischemia(11). Unexpected leakage of bile from the liver or soft tissue adjacent to the porta hepatis or persistent bile leakage after transection of an apparent cystic duct should raise suspicion of a BDI. A cholangiogram showed a focal hepatic duct stenosis at the level of the cystic duct insertion. In 14 cases, this was done because of BDI, and, in six cases, it was done because of short cystic duct with adhesions, inflammation, and difficulty in laparoscopy. The Calot's triangle was exposed by blunt dissection routinely before transecting the cystic duct. The cystic duct and cystic artery were isolated, but the former was temporarily not severed. The gallbladder is a blind pouch that leads, via a neck, to the cystic duct.